Frustration for me is having no answers. Right now I’m very frustrated. Over the past few weeks Tristan’s asthma has started to flare out of control. Every night he has coughing fits as the Ventolin and the air purifier don’t offer the relief they used to. We’re on to Flovent now to see if it can help provide him with some relief. I cringe at using it because it’s an inhaled steroid with studies proving it inhibits growth, although by a very small amount. Regardless, it’s a steroid and in my mind, is not for long-term use and I like to avoid them at all costs. BUT since breathing is essential, if Flovent is what I have to use to ensure my child can breath properly and safely for now, then so be it. I will submit to using it for the safety of my child. But I vow to find his asthma triggers. I will not simply medicate my child for the rest of his life. I will find answers. 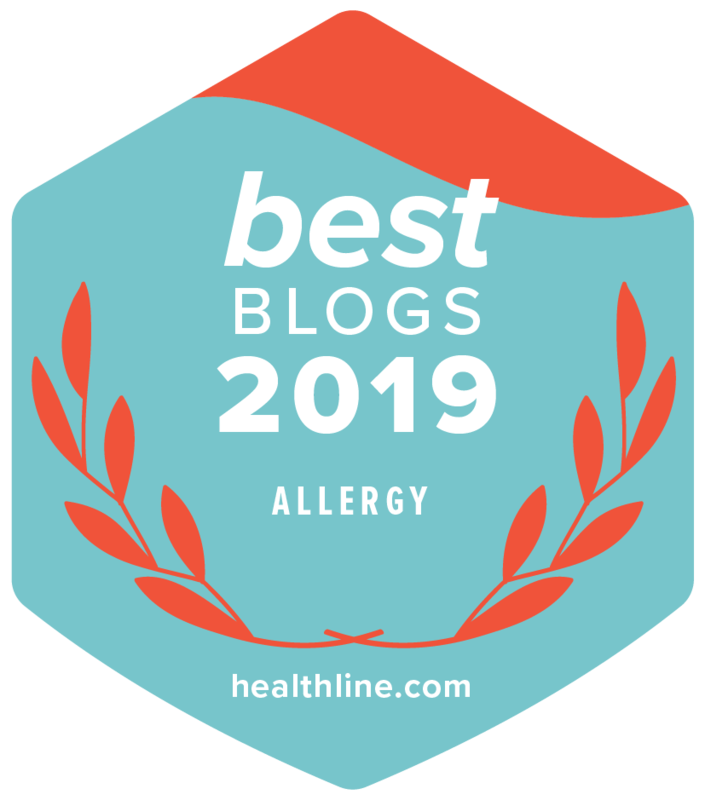 After years of struggling with his eczema, we finally have a good understanding of his food allergies and sensitivities, which were the primary triggers for his itchy skin. So I was very sure that the answer to his flaring asthma had to blamed on something else – most likely environmental or seasonal allergies. So, first stop, the allergist for some skin testing. I know birch pollen causes his eczema to flare up each spring, but doesn’t seem to affect his breathing. But when ragweed was at its peak late this summer, he had a severe asthma attack out of the blue. Coincidence? Before and after that his asthma would come and go with the night-time coughing. Was it due to ragweed? Mold? Dust mites? I couldn’t wait for the allergy test as I was 100% sure we would find the answers. And I was very wrong. I’m sorry to say that Tristan tested negative in skin tests for the most common seasonal and environmental allergens. Like I said, frustration. That’s where I am right now. Beyond frustrated. I felt so disheartened when I saw the results. I’m sure most people would be relieved to see negative test results, but not me. I wanted answers. I asked the doctor how this could happen – how could Tristan test negative when it seemed pretty obvious that ragweed triggered his severe asthma attack. The ragweed numbers were off the chart that day according to meteorologists. It couldn’t be a coincidence. According to his doctor, there are some people, mostly atopic, that test negative in skin tests, but show positive results (an actual immunoglobulin E (IgE) mediated responses) in the lungs themselves! What? Wow, I’d never heard of this. Before I got too excited, he explained that it’s not recommended to do the lung test on young children as it’s quite invasive as severe coughing must be induced in order to get the secretions they need for testing. I believe this method is called bronchoalveolar lavage (BAL). So, the pediatric allergist was not willing to do the test on him, and quite frankly, I’m not sure I’d be game either after reading more about it. Where does that leave me? With no answers. Frustrated. But, as with his eczema, I shouldn’t have expected the asthma journey to be easy. Medication is readily available, but actual causes, actual triggers, much harder to find. It may take years, but I won’t give up. In the mean time, Tristan is going to be taking Flovent regularly so we can get a better handle on his asthma. The doctor had an excellent point when he indicated that inflamed lungs result in more severe allergic reactions to food allergens. And I certainly do not want to experience full-blown anaphylaxis again, ever. So, Flovent for now. Then, next step is homeopathy. Fingers crossed, toes crossed, everything crossed. Surely it won’t be that easy, but I’m always hopeful. If I lose hope, I’ll give up the fight for my child and that’s just not an option. I know what frustration means in the allergic world. I myself had ezcema as a kid, come from an asmatic family, my father always said that in his 75 years he lived no one has found a cure for asma…. Two of my brothers deal with it in their own way, one is a doctor…..I myself have my oldest daughter with severe ezcema that has made her 23 years a nightmare, and I have two nephews with food allergies, and everyone else has some degree of allergic reaction at something…..it is a curse to say the least. But out of the clan my daughter Irene is the most allergic human we have ever seen she has an Ige of over 6000 and keeps changing….food is the only group that does not seem to affect her much….we don´t know….so to know at what exactly we are allergic too, its like finding a pin in a hay stack to say it in someway……..I have done from traditional medicine……to homeophatic medicine….to natural medicine….and nothing has worked for a moderate time. Yes estoroides are the magic wand that we all would love….but it is only good for emergencies,,,,they have saved my daughters life a couple of times….but that it¨s all. Right now we are waiting for the date that we must take Irene to the NIH of Bethesda, because her body has gone crazy as I see it. Nothing stops her reactiones…..nothing….We have traveled, we have done what ever I have read…. We took her to Barnes and Jewish medical center and more than 30 especialist sow Irene….all of them told us that they see cases like her very little and that it is better for her to be seen at the NIH of Bethesda…and that she has gone through all the treatmets that they use….that is frustration ……we have gone the extra mile and nothing seems to make her well long enough for her to finish school, and get a job….she loves kids and has worked with them…..she is a happy person… God atleast has given her the strength to fight and still have a smile on her face….but frustration is real and we have not found an answer to why of all of these…..But life goes on.. we live day by day…some are good and some only God knows why…..But as a mother there are no words to what I feel…only tears roll off my face….maybe someone out there will find something to make her life easier…… until then we can¨t stop fighting…reading…finding out what new things are out there…yoga…meditation…natural food….. With three more kids that are perfect and in college…..-everyone in the family is affected by Irenes allergies…..since she was little….it is a struggle for everyone…we have gone to therapy…Irene has a psychologist..a yoga instructor..and meditacion instructor…my other kids also have tried to find answer in their own way…my housband and I have spent endless hours trying to find something to hold on too..but in the end faith is what has kept us together….Your child is young….he has a future…my Irene is 23 and we are terrified of what her life will be in 10 years with all the medication she has taken, from esteroids..to cylosporine..to metrotexate…to quimiotheraphy…to micophenolate…to all the creams..lotions…antihistamines…analgesic…she has taken in the past 5 years…as a child she only used hydrocortizone in a cream…but still she didn¨t grow much. We have to be strong and don¨t give up….my Irene has not. God knows I’ve been through all this. It’s a nightmare! I actually uploaded a Youtube video about how I got rid of my allergies. Have a watch when you’ve got time. I’d love to hear your opinion on it. Such a nightmare! Great video…..and right on. I myself have made the mistake and still catch my self (even with a child with severe food allergies) mixing up the names allergies and sensitivities and intolerances, even though I definitely know better. Have you tried a gluten free diet? Nearly cured my brothers asthma/allergies. 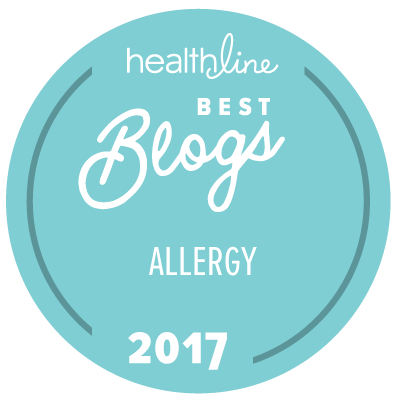 I have lived with severe allergic asthma my whole life . I am 32, so I completely understand the frustrations you have. Have you tried talking to your sons doctor about Xolair ? It’s a shot that blocks the IGE levels from spiking , which controls the allergic asthma tremendously! You do however have to get more then one in order to start seeing a difference. I had 6 before I noticed a change. Good luck! Hope you find something that helps! I am in the same boat as you. My 3 yr old is suffering from tons of food allergies and we figured out the eczema was due to her food allergies. How is your kid doing now. Did homeopathy helped. Any inputs in this would be a great help. Thanks. Hi Vanji – Yes, homeopathy helped as did dietary changes. See my post here about all that worked for us.